A modern detached bungalow within 200 yards of the long sandy Blue Flag Beach on the edge of Dymchurch village sleeping 5 plus 1. One Pet accepted but not in summer peak weeks. Please give details. Ideal for traditional family seaside holiday with small childrens or a romantic break being far enough from the village to be quiet even in peak season but close enough to walk in if you wish. 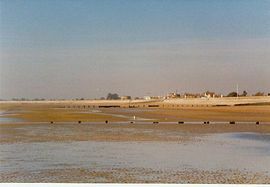 The village has the following ideal for children: an amusement park, donkey rides on the beach and a station of the famous Romney Hythe and Dymchurch Railway nearby. Various water sports on Romney Marsh, sea fishing and boat charter at Dungerness. Cycling along the seawall for younger children and along the many cycle routes across the marsh if more convenient. Bird Watching at the RSPB reserve at Dungerness. Rowing boat hire is available in Hythe on the canal. A short drive away is the cinque port towns of Rye and New Romney. The Cathedral City of Canterbury is only 14 miles away. Retail Therapy can be obtained at the Ashford Retail Outlet. It is also convenient for the Channel Tunnel at Folkestone and Dover with its ferries and castle, only 20 miles along the coast. 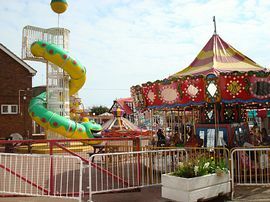 Dymchurch with its funfair and arcades are particularly suitable for younger children. The Romney Hythe and Dymchurch Railway have a station in the village where you can take the train to Dungerness, visit the lighthouse, and view the strange landscape of the area. Alternatively, catch the train to Hythe, explore the High Street, and take a rowing boat out on the canal. At Lathe Barn just inland is a children's farm with animals to pet and a miniature golf course. On the escarpment is Port Lympne Wild Animal Park famous for its captive breeding programme. For further information on Special Offers please visit our website (link to website below). Suitable for partially disabled with only 2 steps into property. You must not smoke in the property please. Secure garden with patio with table and six chairs. Small lawn area. Garage for storage of bikes etc. Local Services: Tesco Express in village, range of pubs and takeaways nearby.Tesco Express in village, range of pubs and takeaways nearby. Large supermarkets including Sainsburys abd Waitrose 4 miles away in Hythe. From junction 11 on M20 follow signs for Hythe. As you enter the town follow A229 the coast road towards Hastings. After about 4 miles the road leaves the seawall and goes inland. Look for the Ship Public House on your left and the bungalow is in this quite estate between the main road and the sea. Minimum price per week is £450.00 in low season rising to £650.00. Peak season in summer holidays is £875.00. 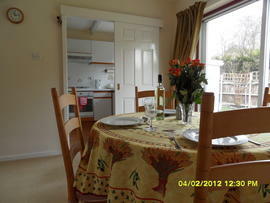 Short breaks available from £390 for 5 people for 4 nights. Discount for bookings for 2 people. Open all year. Will accept longer lets in the winter November to end February at discounted rates. Wonderful clean, tidy bungalow, pet and child friendly Left on Feb 20, 2017 for a stay in Feb 2017 We stayed at this bungalow in February, it was warm, clean and comfortable. A lovely get away from it all holiday, we thoroughly enjoyed our visit, the bungalow has a secure garden, very important for children and dogs. It was not warm enough to sit in the garden when we stayed,but it is secluded and would have been perfect in the warmer weather. Very well equipped, everything we wanted. 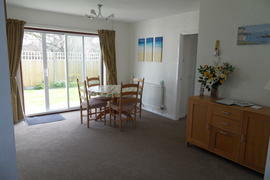 Dymchurch bungalow Left on Dec 21, 2016 for a stay in Dec 2016 The bungalow was lovely and clean,warm and welcoming.I wouldn't hesitate to recommend this listing to my friends and family.